One of the places I sought out this past weekend was a particular chocolate shop in the Kensington area of Calgary. Sweetly speaking is an independently owned boutique, specializing in chocolates to meet any needs, from the corporate sector, to weddings, special events and just everyday retail. Using only Callebaut Belgian chocolate, I was so excited the moment I stepped into the store. The fragrant smell of cocoa beans filled my nose and I couldn't wait to see what they had in store. I was a little too busy checking everything out to snap pictures of the shop interior, but I'm sure pictures of the treats I picked up are satisfactory. Everything they have in stock is handcrafted in the store (with exception to the jellybeans & espresso beans), and made with care & patience. The chocolates I picked out look so delicious! In addition to what I picked, they have smores, chocolate covered nut clusters, different types of chocolate bark.. so much variety! Everything is packaged so professionally, I almost don't want to eat anything! The store owner was so lovely and kind, it really made a lasting impression on me. 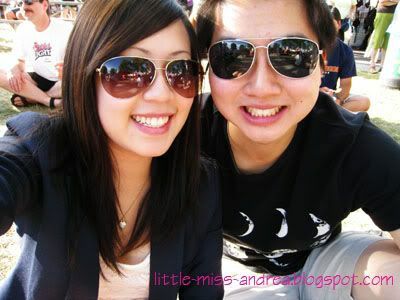 I can't wait til I get the chance to visit her again! 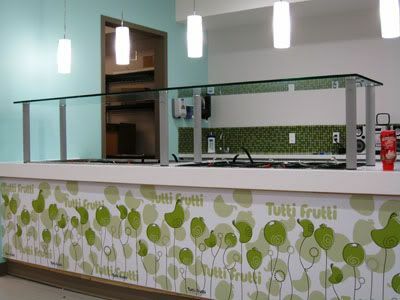 My first experience with Tutti Frutti was over a year ago, in beautiful, sunny California. It was my first self-serve frozen yogurt experience, and one that I'll always remember. I thought it was so unique in that you could pick any flavour combinations, and an unlimited amount of toppings. At the time, there was nothing like that in Edmonton. 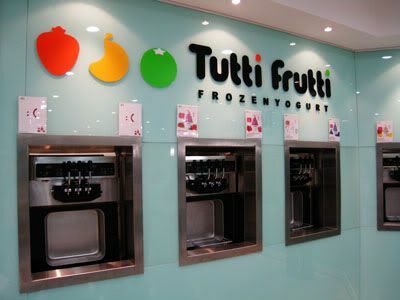 Flash forward to a year later, and there are a couple locations of Twisted Yogurt, Kiwi Kiss downtown, and now comes Tutti Frutti! 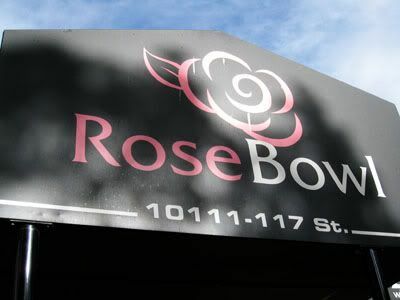 This new fro yo establishment opened up this past Saturday, and happens to be the first Canadian location for the California based yogurt chain. As their store occupies a once upon a time clothing store, I was curious to see how they had renovated the space. 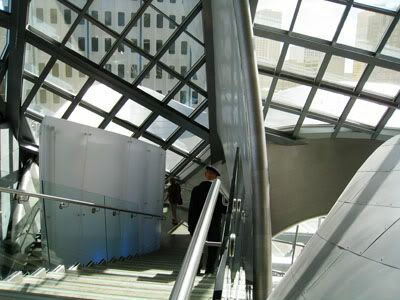 When you enter the door, you will see a small seating area to your right, followed by a staircase leading down to the general area. At the bottom of the stairs, I was greeted by an employee who explained how the whole self-serve process works. I love that the space is brightly lit, and the colour scheme is quite bright and refreshing. There's nothing worse than entering a store below ground that is dark and dim - its boring & makes me so tired! 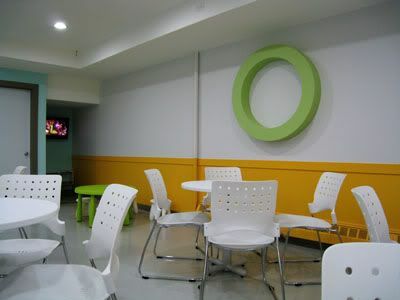 The space is large, and the many tables & chairs are capable of accomodating quite the crowd. I love that they have a little corner with a TV & small seats for children - it goes to show that they are family oriented and consumer conscious! Now, onto the star of the show: the frozen yogurt. Looking at the 10 or so options, each machine contained two flavours that could be served alone, or swirled together for a combined flavour - nothing too different, since Twisted Yogurt uses the same type of dispensers. But what I appreciated was the flavour description card that accompanied all the different flavours (seen above). They were informative, stating things like whether the flavour was supposed to be tart or creamy, an image of what the yogurt should look like, which toppings would compliment it, whether it contains dairy, and other ingredient information. This is perfect for anyone who has a diet restriction or allergies - there is no hidden information! If I remember correctly, the flavours available while I was there were: Tart, Melon, Mango, Pineapple, Green Apple, Pistachio, Chocolate Peanut Butter, Taro, Raspberry & Blueberry. Now onto my favourite part, the toppings. While Twisted Yogurt has fresh fruit and dry toppings, I have yet to see anything special like mochi, jellies, or exotic fruit at their locations. Mochi is one of my favourite toppings, and I've always had to add my own from home into my yogurt each time I visit them. I have asked them in the past whether they would ever have it, but the owner has always told me he has not found a reliable source for the popular topping. 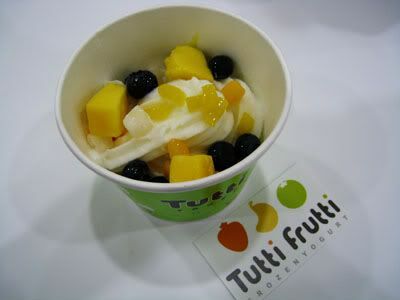 But fear no more, Tutti Frutti has got us covered. Their topping station is kept clean, brightly lit, and each ingredient is labelled so as to avoid any confusion. They have rainbow jelly, lychee jelly, mango jelly, mochi and mango mochi (WHAT?) in addition to the regular fruits and dry toppings. My favourite topping in my bowl had to be the mango mochi! Albeit a smaller and a little chewier than the normal mochi, it really did have a nice mango flavour to it! 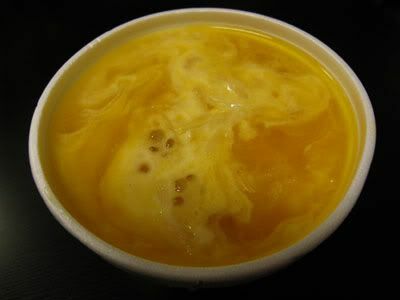 The mango jelly was good too - it shared the texture of rainbow jelly, rather than the traditional lychee jelly. Check them out on their Facebook Page here! & Vince had the taro flavour - it tastes just like taro bubble tea! Ah, the Rose Bowl. 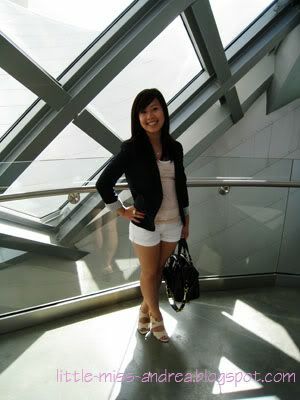 Just a little over a year ago, I was here at this restaurant to send-off one of my besties Lucy to school in Vancouver. I always find it weird to think that this resto-lounge establishment is well known for it's Pizza! Walking in this time was a little different, I noticed that the interior had changed a bit and probably went through some renovations. Talking to our server, I found out that they are actually planning on multiple renovation projects, staggered out over a long period of time. In other words, this place is always being renovated, hah. 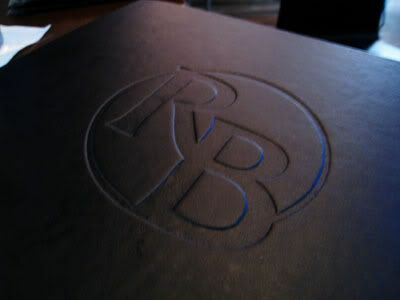 At a restaurant like this, I always go with their signature menu items that they are well known for. At the back of the menu was a little blurb about how Wayne Gretzky frequented this restaurant, and how it is still his hometown favourite, especially for the pizza. 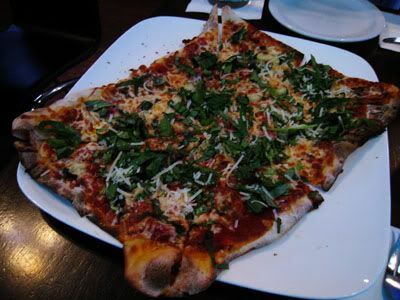 With all the ingredients spread atop of a thin crust, this pizza looked really big! In reality, it's not super filling since the crust is so thin, but the pizza tasted delicious. The marinara sauce was slightly spicy, giving a nice kick, while the fragrant basil really kept all the flavours together. I highly recommend this one! 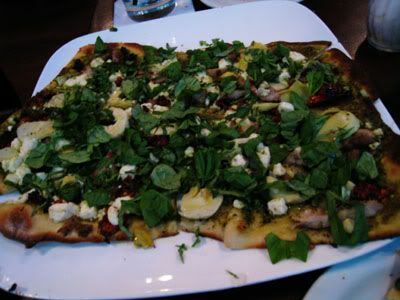 This pizza may resemble the other we ordered, since it is covered in fresh basil leaves, but the taste was quite different. I would call this a 'white sauce' pizza, since the base was mostly pesto & olive oil. The only thing I did not like about this one was how thin the crust happened to be. It was so thin, and the moisture from the pesto made it soft & incapable of keeping its form. When eating it, I practically used the palm of my hand to support the pizza in order to prevent all the toppings from falling off (they still did!). The flavours were delicious, but I think these toppings are better off on a thicker crust. 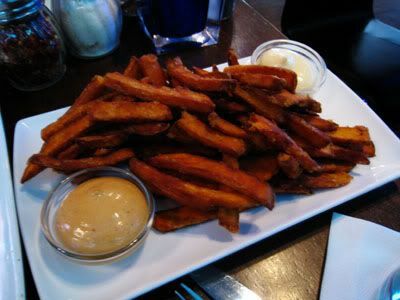 Even though I'm pretty much sick of sweet potato fries now (or anything similar), these fries were so appetizing. 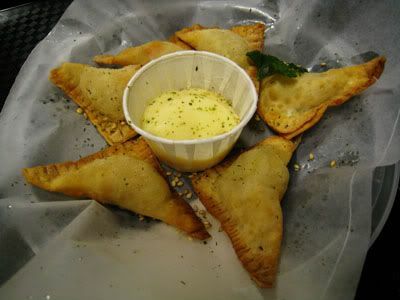 The batter on the outside was nice and crisp, and the two sauces were perfect compliments. The chipotle sauce had a spicy/bbq kick to it, nothing like the sauces I've tried before with sweet potato fries! I'd have to say the quality and flavours in the food here are phenomenal. They really take the time to let the flavours develop, and you can taste every little bit of the ingredients they use in the pizza. Big thumbs up to them! If they weren't so out of the way for me to get to, I would probably be here often for their food. Now onto the bad news. Big thumbs down for service. 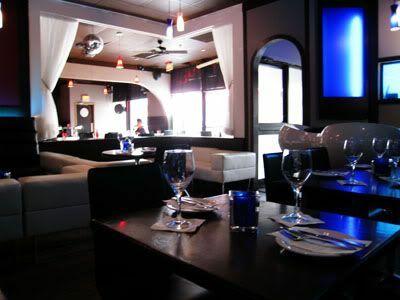 There was pretty much just one server and one manager on duty, manning both the restaurant and lounge sides. Even though they really weren't busy, it was difficult to get their attention. Just waiting to get the bill and pay for it took a full 30 minutes. 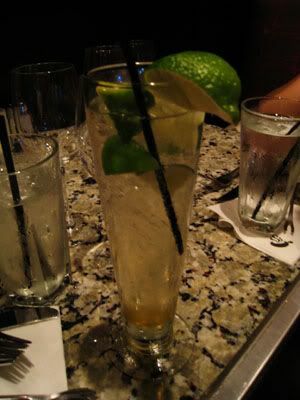 While our server was really nice, it just doesn't make up for having to wait and constantly try to flag someone down to help at our table. The table of customers beside ours waited a full 40 minutes before they received their food. Now, that folks, is patience. 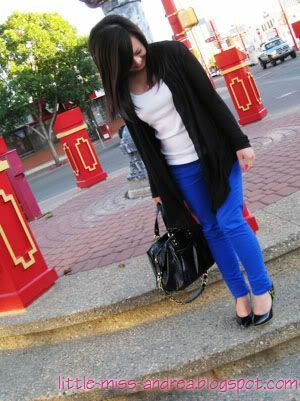 Ever since I laid eyes on the J Brand 811 Skinny Jeans, I've been coveting them. The colour is so bright and fun, and I can see so many outfits working with each colour, but in particular, the colour 'Bright Royal'. But the rational brain in me kept advising me to forget about them, because I would never wear them. 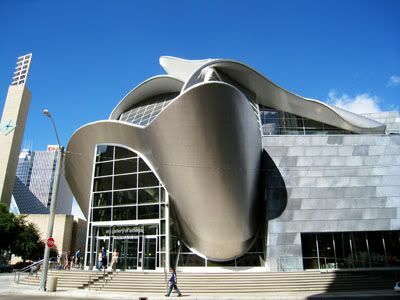 I don't like attracting too much attention to myself, and in a city like Edmonton, the fashion sense is nowhere near the likes of LA or New York, where you see eye-catching pieces everywhere. About a month ago, I revisited these particular jeans at Aritzia, and went as far as to try them on. They feel like a dream. The material is amazingly smooth and soft, I felt like I was wearing my PJ pants and lying in bed. But at the $220 price tag... I knew I wouldn't wear them often enough to justify the price. The colour of these is almost a dead on dupe for the J Brand jeans - I'm just wondering how the colour will hold up after a couple washes! If you have been looking for a pair of bright denim, I suggest you check out the offerings of Forever 21. Brightly coloured denim continues to be a huge trend this upcoming fall, as companies like Citizens of Humanity, Gap, and Paige Denim are jumping aboard the coloured denim trend. If you feel like you'll get lots of use out of them, I highly suggest the J Brand's that come in the widest range of colours. The pair I purchased can be found here, while longer variations can be purchased here and here. This week I was planning on trying out 'French Quarter for Your Thoughts' as I've been dying to sport some grey on my nails (I never have! ), but the sunny weather and the end of summer just wouldn't allow me to do so. Instead, I tried out the other second last shade I picked out from the OPI Touring America collection: Are We There Yet? I find this polish is quite suitably named, for road trips always evoke that question out of children. My parents were huge fans of driving around the country when I was a child - almost all of my trips were completed using the family vehicle, with the exception of our trip down to Disneyland. My sister and I would just sleep, then wake up, asking that all too familiar question, are we there yet? But then again, maybe it's a calling for Autumn to arrive. As the polishes in this line are intended for fall, maybe the fashion industry is just done with summer, and yearning for fall. As we all know, companies think ahead, and release previews one season ahead. 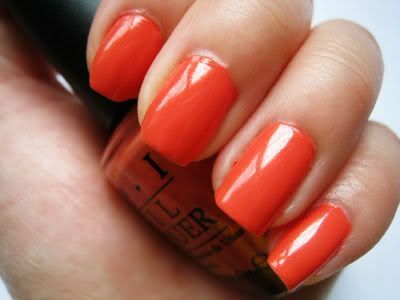 Either way, I'm loving this beautiful coral colour. Like it's sisters 'My Address is "Hollywood"' and 'I Eat Mainely Lobster', this shade is yet another creme looking polish, packed full of golden/pink microshimmer. It is absolutely gorgeous when shining in the light! I would describe it as a salmon coloured coral, leaning towards a true orange colour. Hot & Spicy | Are We There Yet? Looking at the colour on my nails, I felt like I had something just like it in terms of colour. 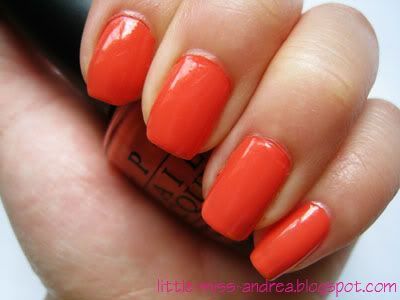 OPI's Hot & Spicy is a very similar colour, but just a smidge darker. It is definitely more of a true orange than Are We There Yet?, and so different when shone in the light. The shimmer in this polish makes this polish a star, and will look fantastic with your Autumn wardrobe! And this damage was all done in Edmonton. Is this a sign to stop? I'm waiting for something big to be shipped to me. The collection is full of jewelry pieces, accessories, and crystal figurines, but I only had my eye on one piece: the crystal pendant. 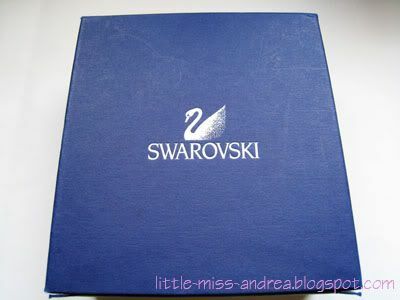 As the colletion was released on August 1st in Canada, my local Swarovski store received a low number of stock for the necklace, and they quickly sold out. After about two weeks of waiting, the sales associate was able to track one down in Vancouver for me, and then it finally arrived in my hands. 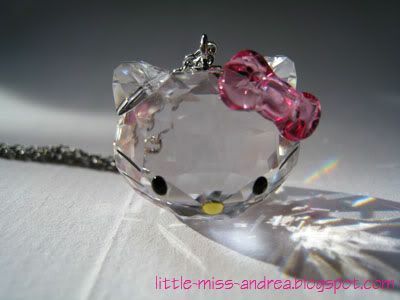 In reality, I didn't know what to expect when looking at the pendant. 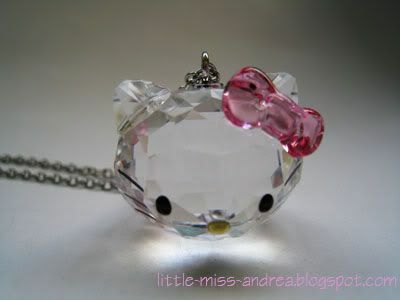 Sure, I have another Swarovski necklace, but the crystal detailing definitely would not be as intricate as the Hello Kitty pendant. Another curious thought in my mind was regarding the size. 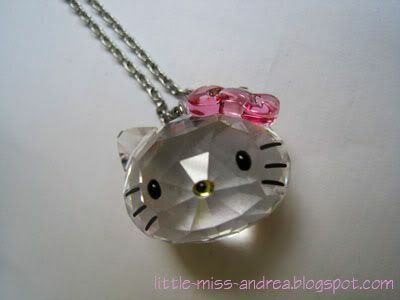 In the advertisements, the pendant looked gigantic on the model, whereas the measurements on the website made it seem much smaller. Once I laid eyes on the pendant, I couldn't be happier. The actual size of the pendant is smaller than the Canadian quarter, but larger than both the dime & nickel. Personally, I think it is a great size - not so small that no one would take notice, but not so big that it looks tacky. The drop length of the chain is roughly 25cm at its longest, and can be adjusted to as short as 22.5 or 20cm. It is not heavy when worn, and should be safe from hitting any objects when worn. The beauty of this pendant is truly seen when shining in natural sunlight. The way the light refracts through the crystal is beautiful. Its so cute and I can't wait to wear it out. 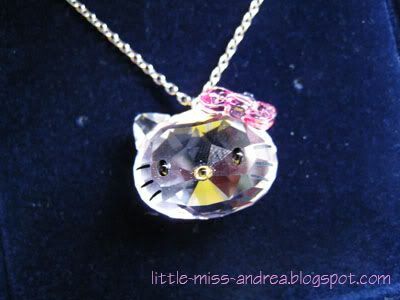 The necklace retails $150 USD/$160 CAD, and can be purchased at free standing Swarovski stores or online through their website. Last night, I went out with my family to treat them to a nice sit down dinner. I wanted somewhere classy, where we could sit closely together and have time to just chat and bond.. and since I missed out on my dessert of choice a couple nights back, I brought them to the Melting Pot! 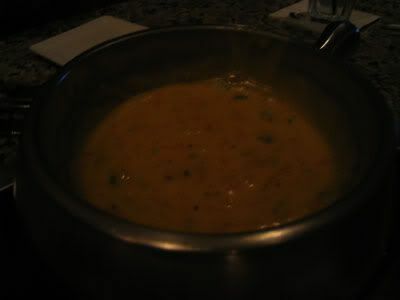 our table was in a dim area of the restaurant, pictures were hard to capture! 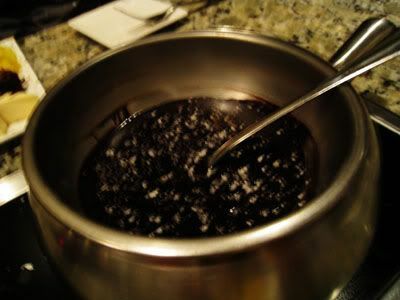 I had a wonderful experience during my birthday at this restaurant, and seeing as my parents have never gone out for fondue, I wanted to show them what it was like. The feature menu at the moment reflects their version of Latin America, served over four different courses: cheese fondue, salad, entree, and chocolate fondue. 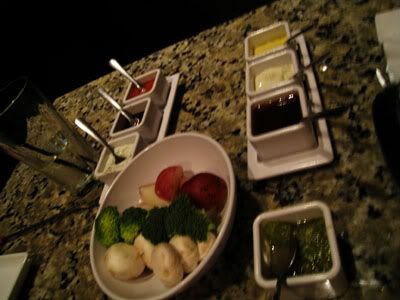 Despite the set menu for the "Big Night Out" we were a group of four and were able to mix and match the types of fondue we wanted to have at our table, to increase the variety of food we could eat. 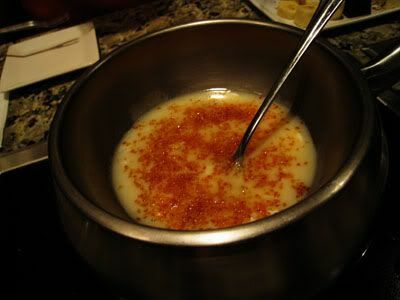 As mentioned by our server, the featured cheese fondue had a greater elastic texture to it, making it really fun to dip our food into. It definitely contained cheeses that were more aged than those in the Fiesta Cheese fondue, but both were equally delicious. I chose the Fiesta as our second cheese since I loved it so much on my birthday! 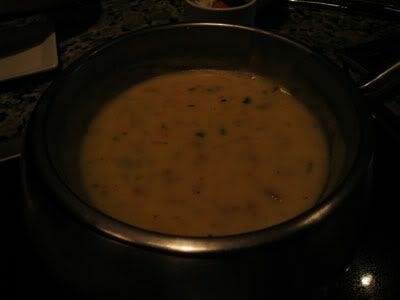 Both fondues used beer as a base. This salad was so delicious. The shrimp was perfectly cooked, whereas the avocado was seasoned amazingly to pair with the shrimp. 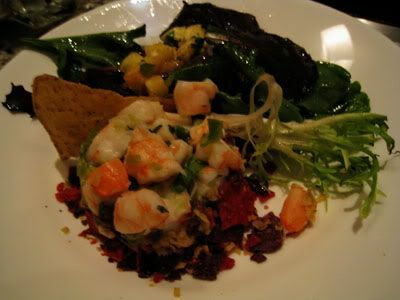 The tortilla chips gave a nice texture, and the mixed greens had a delicious dressing on it. I cannot rave enough about how yummy this salad was! It's always funny when the waiters instruct me on how long to cook my food in the broth. Like really, I consider myself a hot pot connoisseur. Just kidding. But yes, I do know how long to cook my food for, but I think they're required to say it, just so that if anyone gets food poisoning, they are not liable. Of all the available protein to eat for the main course, I'd have to say I enjoyed the pork tenderloin and ravioli the most. 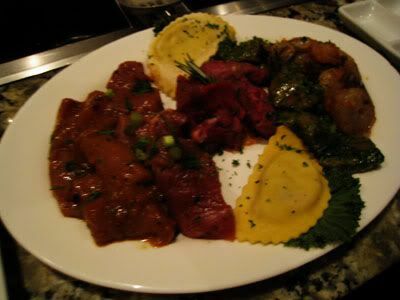 The pork was so tender and flavourful, whereas the ravioli soaked up the yummy broth and the pasta remained al dente even after a long cooking time. My least favourite though.. the chimichurri sirloin & chicken breast. Chimichurri just isn't my thing, because it's full of parsley/cilantro. I seriously cannot stand the taste of that herb :( The chicken, on the other hand, was not what I was expecting. I've never had mole-marinade before, and now I know I don't like it! The marinade has cocoa as on of the ingredients, which made this meat taste sweet, despite being cooked in a salty, citrusy broth. Creme Brulee White Chocolate Fondue - this was not on the menu, but our waiter offered to make it for us! Our stomachs were all nearly bursting at the seams, but everyone always finds room for dessert.. am I right? 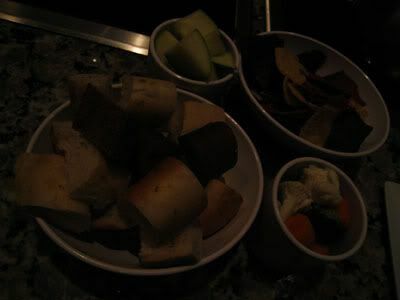 Once again, our number of people was advantageous, and we were allowed to order two different types of chocolate fondue. The creme brulee was fantastic, as it was on my birthday - my only issue is that there wasn't enough sugar sprinkled atop of the chocolate. Between the two, the creme brulee proved to be my favourite, because the garnishing of the coarse salt was overwhelming. My first dip into the dark chocolate was extremely salty, and the salt was impossible to avoid. All in all, the Big Night Out set menu was worth it. It was a great night out with family, as we talked and bonded over the three hours we spent together dining. 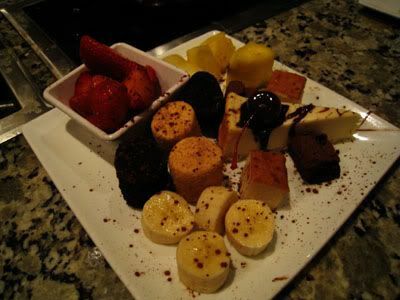 While The Melting Pot is not a place I would visit each time they put out a new feature menu, I would probably stop by occasionally for dessert - but max twice a year! So about a week ago, I got my MCAT score back. Despite being quite sick the day of writing the 5 hour exam, I'm happy to say I scored very well considering the circumstances! I settled for a drive around the corner to the familiar Tasty Choice to check out their dessert options. Might I say I made a terrible mistake? As Vince was hungry (piglet! ), I got to choose what he ate because I wanted a little bit of it! 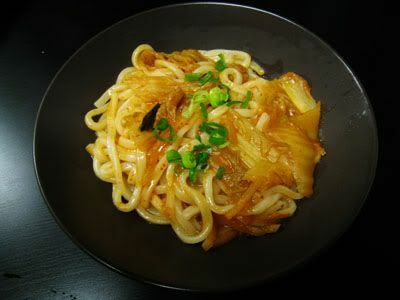 The kimchi fried udon sounded yummy, and we thought it would be nice to have something warm as it was a little chilly outside. Let's just say.. stay away from this dish if you can. For $6.99, the dish is really small, and so spicy that you will cry. The actual heat of the dish, in combination with the kimchi is so unbearable! The dish is crazy sour too - I'm pretty sure they add vinegar and fresh chili peppers into the wok when cooking, because it makes everything feel like it is on FIRE. We ended up packing the dish to go, only to cook it again to our liking later on. I've heard that the lychee dumplings at Tasty Choice are very popular, and even friends have recommended them to me. I honestly thought the deep fried dumplings would be sweet - I mean, lychee is such a sweet fruit.. am I wrong? Turns out that these dumplings are salty, and filled with shrimp, small lychee fruit pieces, and seasonings. I could not stand these! There was a definite sweetness from the lychee, but the saltiness in combination with it just made me want to gag. Do not like! If you're a fan of sweet & salty, these may be for you. Last but not least, the mango dessert. This being one of my most favourite Chinese desserts, I did not think they could mess this up. Each time I've visited Tasty Choice in the past, they have never had this available because they define it as a seasonal dish. I went ahead and ordered the large, thinking nothing could be wrong.. MISTAKE #3 of the night. The dessert was entirely liquid. Not icy and smooth like it should be, and the chunks of mango in it were relatively soft and over ripe. To the point where they were probably starting to rot.. I'd rather pay more money for a smaller portion at the Dessert House. This experience makes me never want to come here again. I am dead serious. Yesterday morning, Vince & I headed downtown to the Art Gallery of Alberta to catch a glimpse of the Andy Warhol exhibit before it's end. I honestly don't think I've ever been to the art gallery here in our city. With the major renovations that finished early last year, the exterior and interior of the building are truly amazing. While the gallery doesn't allow photography within the exhibits, I took the chance to snap a couple outfit shots with the beautiful sunny weather. Edmonton has definitely started to get chillier in the mornings & evenings. It's so sad to see summer go by, but I love the beautiful colours that Autumn brings out in nature.